Sarah Nader- snader@shawmedia.com Jonathan Sheyka of Barrington Hills tees off on hole two during the Illinois Junior Golf Association Regional 9 at Crystal Woods Golf Club in Woodstock Friday, June 20, 2014. 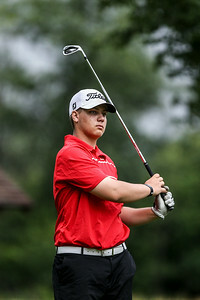 Sarah Nader- snader@shawmedia.com Michael Murdy of Grayslake watches his ball after teeing off on hole two during the Illinois Junior Golf Association Regional 9 at Crystal Woods Golf Club in Woodstock Friday, June 20, 2014. Sarah Nader- snader@shawmedia.com Kevin Karney of Crystal Lake watches his ball after teeing off on hole three during the Illinois Junior Golf Association Regional 9 at Crystal Woods Golf Club in Woodstock Friday, June 20, 2014. 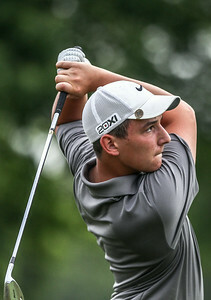 Sarah Nader- snader@shawmedia.com Jeremy Gregory of Algonquin watches his ball after teeing off on hole three during the Illinois Junior Golf Association Regional 9 at Crystal Woods Golf Club in Woodstock Friday, June 20, 2014. 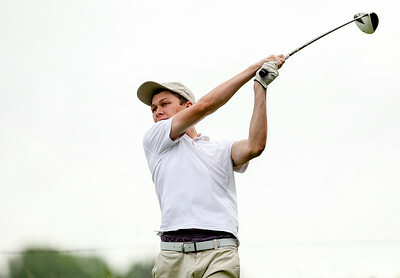 Sarah Nader- snader@shawmedia.com Billy Walker of Algonquin watches his ball after teeing off on hole four during the Illinois Junior Golf Association Regional 9 at Crystal Woods Golf Club in Woodstock Friday, June 20, 2014. 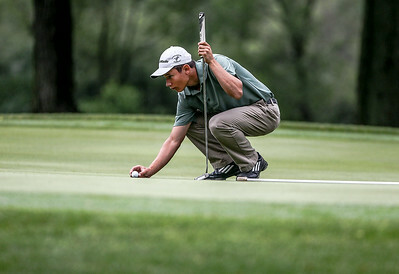 Sarah Nader- snader@shawmedia.com AJ Folino of McHenry lines up his putt on hole six during the Illinois Junior Golf Association Regional 9 at Crystal Woods Golf Club in Woodstock Friday, June 20, 2014. Sarah Nader- snader@shawmedia.com Trent Craig of Huntley hits from a bunker on hole eight during the Illinois Junior Golf Association Regional 9 at Crystal Woods Golf Club in Woodstock Friday, June 20, 2014. 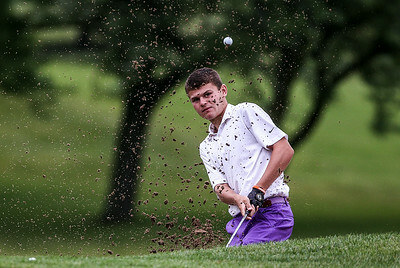 Sarah Nader- snader@shawmedia.com Jack Ramsett of Algonquin hits from a bunker on hole eight during the Illinois Junior Golf Association Regional 9 at Crystal Woods Golf Club in Woodstock Friday, June 20, 2014. 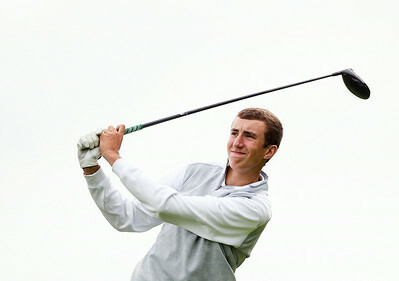 Sarah Nader- snader@shawmedia.com Christopher Boyle of Hampshire watches his ball after teeing off on the ninth hole during the Illinois Junior Golf Association Regional 9 at Crystal Woods Golf Club in Woodstock Friday, June 20, 2014. Sarah Nader- snader@shawmedia.com Larisa Luloff of Cary watches her ball after teeing off on hole eight during the Illinois Junior Golf Association Regional 9 at Crystal Woods Golf Club in Woodstock Friday, June 20, 2014. Sarah Nader- snader@shawmedia.com Bailey Bostler of Lake in the Hills hits from a bunker during the Illinois Junior Golf Association Regional 9 at Crystal Woods Golf Club in Woodstock Friday, June 20, 2014. 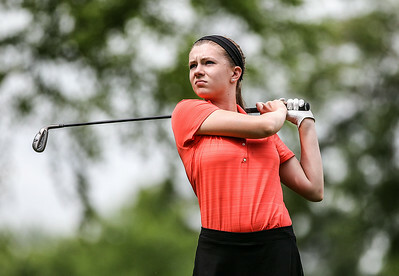 Sarah Nader- snader@shawmedia.com Emily Jean of Cary watches her ball after teeing off on hole nine during the Illinois Junior Golf Association Regional 9 at Crystal Woods Golf Club in Woodstock Friday, June 20, 2014. Sarah Nader- snader@shawmedia.com Larissa Luloff (left) of Cary, Emily Jean of Cary and Bailey Bostler of Lake in the Hills walk to the next hole during the Illinois Junior Golf Association Regional 9 at Crystal Woods Golf Club in Woodstock Friday, June 20, 2014. 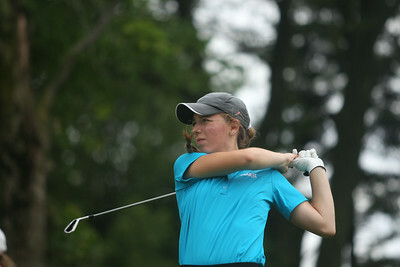 Sarah Nader- snader@shawmedia.com Kayla Ryan of North Barrington practices her swing during the Illinois Junior Golf Association Regional 9 at Crystal Woods Golf Club in Woodstock Friday, June 20, 2014. 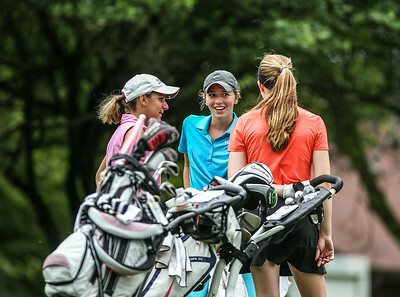 Sarah Nader- snader@shawmedia.com Larissa Luloff (left) of Cary, Bailey Bostler of Lake in the Hills and Emily Jean of Cary talk while waiting for their turn during the Illinois Junior Golf Association Regional 9 at Crystal Woods Golf Club in Woodstock Friday, June 20, 2014. 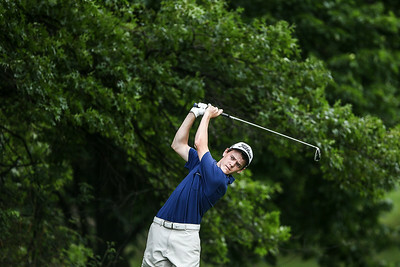 Christopher Boyle of Hampshire watches his ball after teeing off on the ninth hole during the Illinois Junior Golf Association Regional 9 at Crystal Woods Golf Club in Woodstock Friday, June 20, 2014.